Nursery labels can be confusing. Some trees marked “true dwarf” are actually semidwarfs. But citrus grown on Flying Dragon rootstock are labeled as such by Monrovia and C & M wholesale nurseries; Willits & Newcomb wholesale nursery identifies its Flying Dragon citrus with a sticker on the label that just says “dwarf.” If in doubt, ask your nursery whether the plant is growing on Flying Dragon. Pot size: Choose a container at least 18 inches in diameter. Or start with a smaller pot (at least 12 inches wide) and transplant the tree into a larger pot in a year or two. Soil: Use a high-quality potting mix. If the pot won’t be watered by an automatically controlled drip-irrigation system, add soil polymers (such as Broadleaf P4) to the potting mix. As the soil dries out, polymers offer an extra supply of moisture to the roots, helping to prevent the tree from becoming moisture stressed between waterings. Repotting: If the soil starts drying out quickly and the roots are compacted, you’ll need to pull the plant from its container, prune the roots, and repot the tree. Vigorous trees such as ‘Lisbon’ lemon or ‘Oroblanco’ may need repotting after 3 to 5 years; very small trees (kumquats, for instance) may go twice as long. Cool-summer areas (Sunset climate zone 17) and cold-winter areas (zones 1-7): Sour types of citrus, which need less heat to ripen than sweet kinds, are good choices along the coast, as well as in cold-winter areas, where indoor-outdoor container culture is a must. 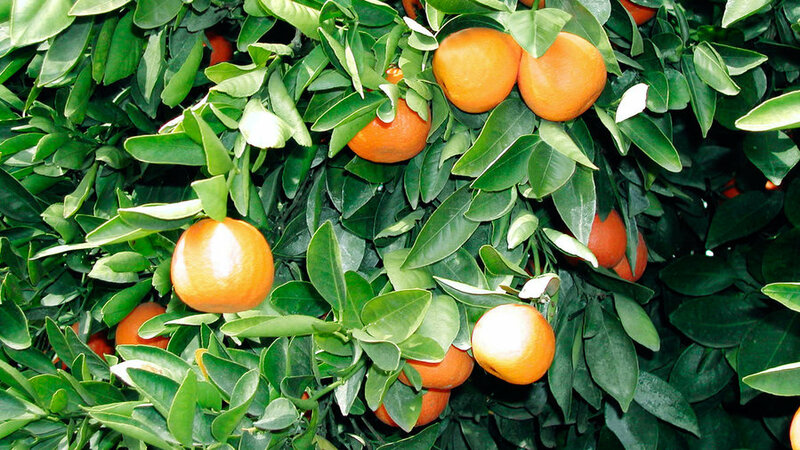 These include ‘Bearss’ lime, calamondin, kumquat, kumquat hybrids, lemon, and ‘Rangpur’ lime (sour mandarin). ‘Improved Meyer’ lemon is a particularly good choice indoors. Mild-summer areas (zones 15, 16, and 24): You can grow all of the sour types of citrus listed at left, plus ‘Oroblanco’ grapefruit-pummelo hybrid and ‘Valencia’ orange (although the fruit won’t be as sweet as that grown in inland areas). Protect fruit from frost. Hot-summer, mild-winter areas (zones 8, 9, 12-14, 18-23): All citrus thrive in these climates (protect fruit from frost). Deserts produce the sweetest grapefruit. You’ll get the best fruit production if the tree is grown outdoors in summer and brought indoors before the first frost in fall. Move the tree to a greenhouse or cool, bright location, such as a sunroom. Supply humidity: Place the pot on a tray of wet pebbles or run a small humidifier nearby. Watering: Be careful not to overwater the soil. Don’t allow the pot to stand in water. Узнайте про авторитетный портал с информацией про телохранители киев.